“Nand Ke Laal ka Ghar” Yes I mean the home of Lord Krishna is our Indian tourist destination today. This holy town is full time busy with the devotees. 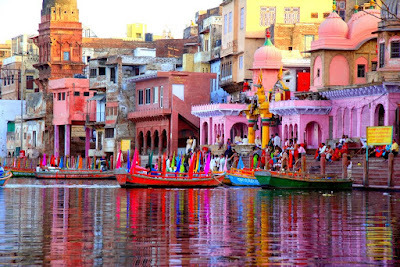 This famous town of India is Brajbhoomi or MATHURA the of Lord Sri Krishna. Still you will hear the music of flute and mantras spread everywhere in the town. 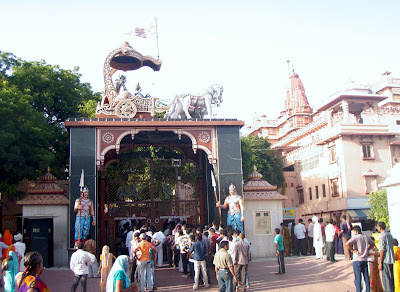 One of the special holy place Vrindavan is closer to Mathura. 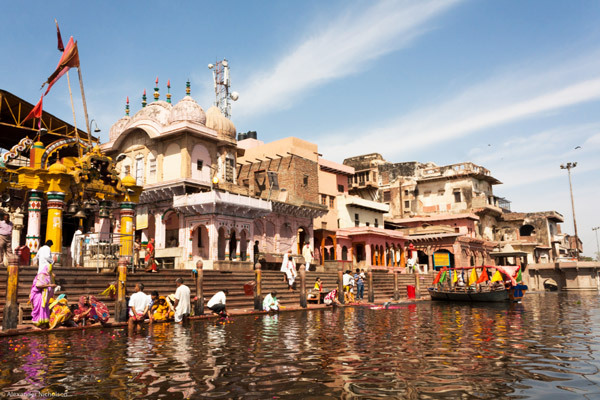 This town is situated near river Yamuna and Vrindavan is the village known for its perfumed groves also for Lord Krishna childhood. Morning starts with Pooja and aerchana, though late evening ends with Mantra and Sandhya Aarti and it hears like complete town is doing pooja of Lord Krishna at same time with same tone or same lyrics. Awesome experience of the place made our trip memorable. 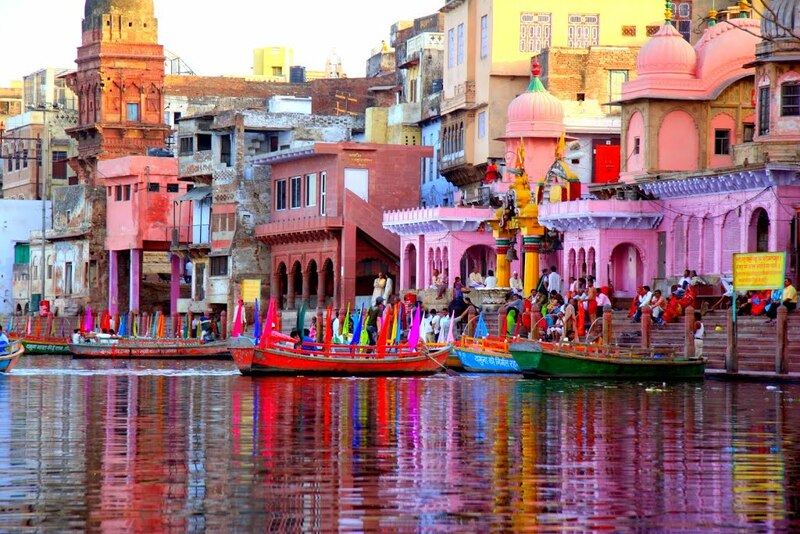 Town of Uttar Pradesh (UP located at good distance of 145 km from Delhi and 58 km from Agra (the two well-known developed cities of India). 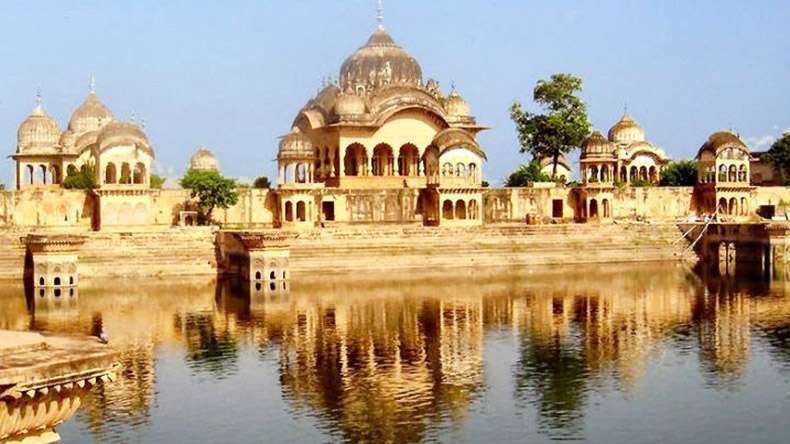 Covered with land area of 3,800 sq km alienated into two separate units one is Yamuna territory with places like Mat, Mahavan, Gokul, Baldeo and Bajna whereas the other one is a western side of the Yamuna covered with Vrindavan, Kusum Sarovar, Govardhan, Nandgaon and Barsana. This town is just 15 km away from Mathura one key spot of pilgrimage and very special place for devotees of Lord Krishna and Goddess Radha. The numerous temples with old and modern technology are special to watch at this place. 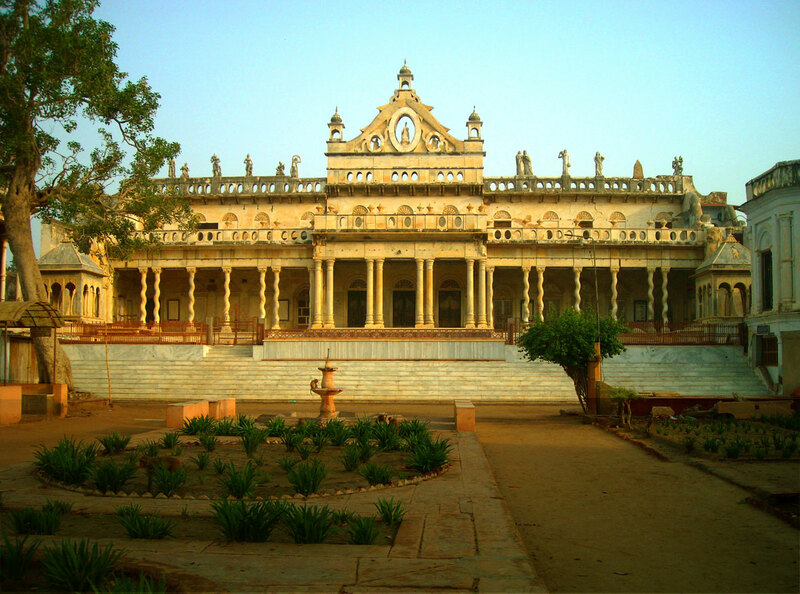 Vrindavan is the place where Lord Shri Krishna spends his childhood period and did education. We all know Lord Krishna was born in the cell and that cell is still protected and properly managed by the local administration. You have to reach the Kila (Palace) of King Kans (Uncle of Lord Krishna) to reach the cell. Mata Deviki and Vasudev was caught by King Kans and was jailed for longer time. Mata Deviki gave birth to 8 childs in the jail in which 7 were killed by Kans in the jail itself. A big story behind the birth of Krishna and Kans killing will be like a mythological article so without taking much time concentrate on the spots. The cell is still available and you can view the blood marks on the walls in this Janam Bhoomi of Lord Krishna. Another historical mosque constructed with the building of Krishna Temple. 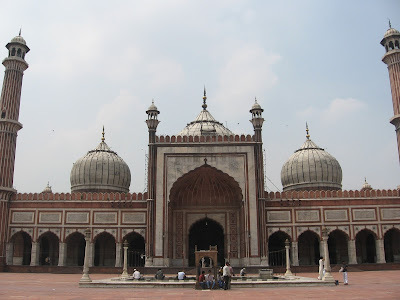 It was constructed by Aboin Nabir Khan in 1661 whereas it has become the major issue for Hindu and Muslim religion as the Mosque is made in the area of Temple and Fort of Hindu King and Uncle of Shri Krishna "KANSA." This mosque is, however, a good place to visit as it is having 4 lofty minarets with bright colored plaster mosaic. This Krishna temple was built in 1814 and a main shrine though you have to steps bit more to enter the temple. The beautiful temple with best structure and you will feel the peace and like Lord is blessing you. 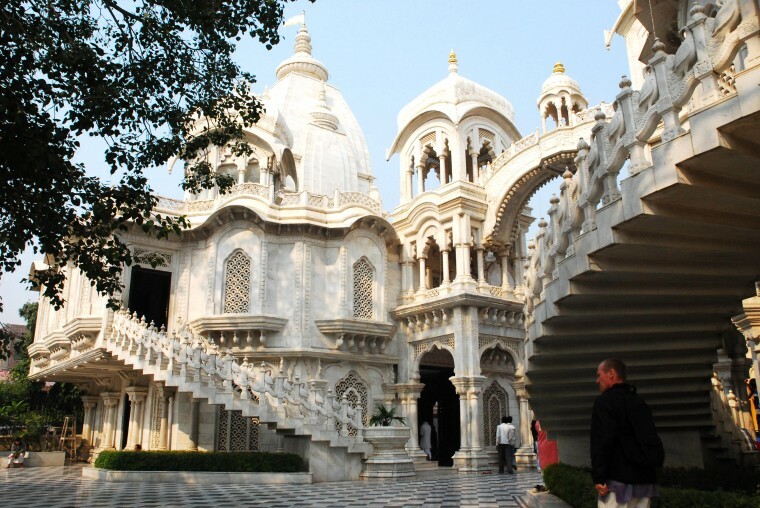 Enter the premises and experience the wonder land of Lord Krishna. 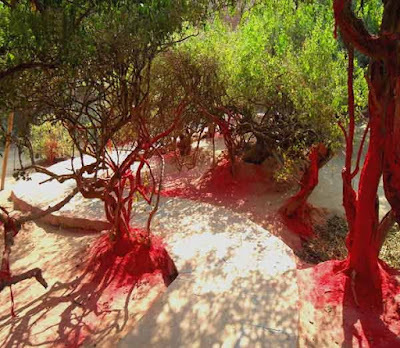 One of the sacred spot which is identified as the place where Lord Krishna has rested after assassination of King Kansa. One more holy shrine located outskirts of city famous for carving and painting on the walls. It is popular for Veda and Gita path. It is like a shakti peth where the holy values are given to the child. Its good place to visit in Mathura so dont miss and learn the ancient method of reading. 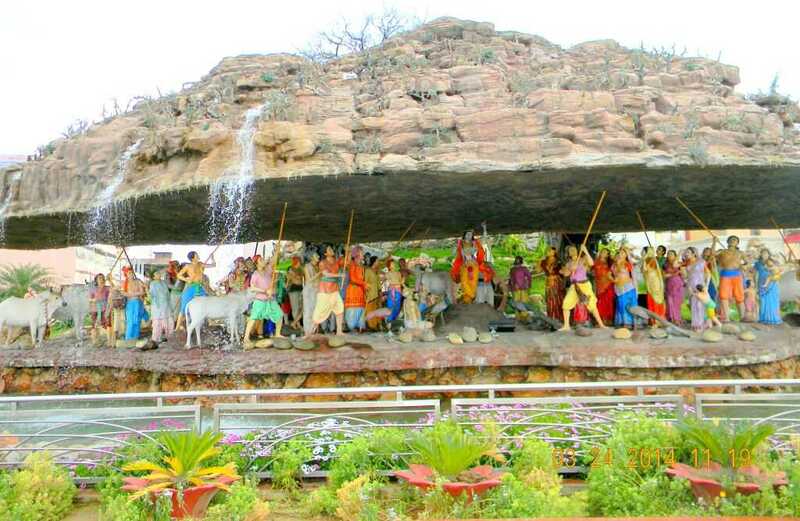 Next tourist place of Mathura is museum at Dampier Park. With finest collection of archaeological interest and armory of Kansa army will let you know the technology used by Kansa to beat the other rulers. It is good place to learn ancient period and living style of locale of Mathura. A shrine constructed by King Man Singh of Jaipur in 1590. The splendor architecture of the temple is must spot of town. The walls of the temple are approximately 10 ft thick and seven stories high where the upper 4 stories were damaged during the fight with of Aurangzeb. Another holy place constructed in the year 1860 famous in the area known for its superior art architecture, statues and twelve single piece spiral columns. 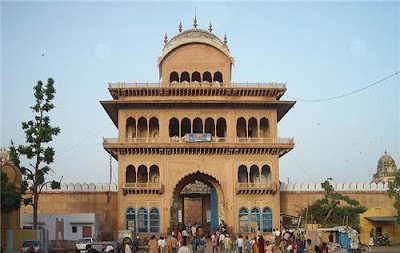 Listed in one of the biggest temples of town Vrindavan, which was constructed in 1851 by Seth Laxmi Chand Ji and Govind Das ji. This shrine is having historical values as it played the vital role during the assassination of king Kansa. It was also the center of attraction for Mughal rulsers as Seth Laxmi Chand Ji was not in favor to surrender and handover the town to Mughal. This temple is situated near Kali ghat and it is supposed that the edifice of this temple is done by Kapur Ram Das of Multan. 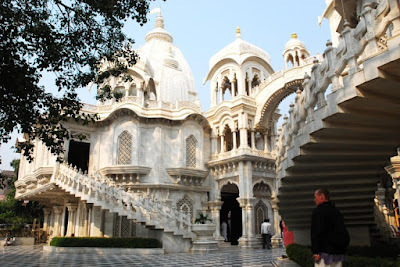 ISKCON is the International organisation and they have more than 400 centers and offices around the world. This temple was founded by Bhakti Vedanta Guru Prabhupada. Devotees and pilgrims of Lord Krishna are reaching this temple frequently throughout the year. 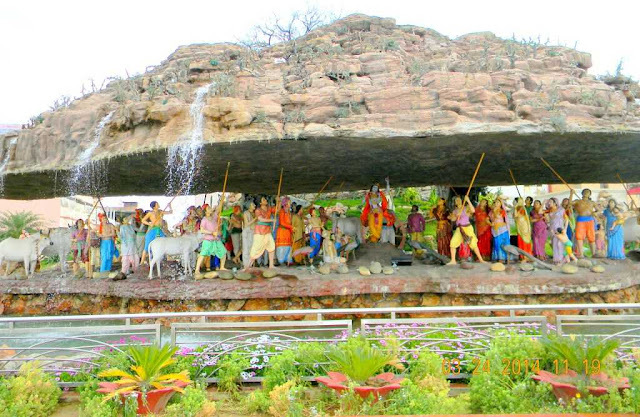 This is the beautiful temple of Lord Krishna and must-visit place for a tourist. 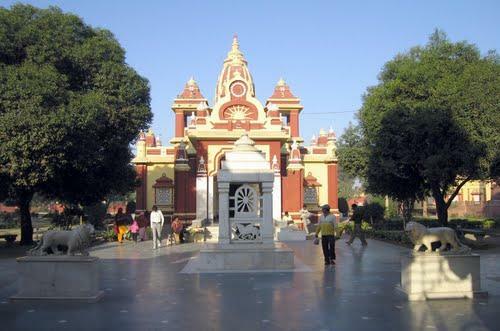 This is the very important park of Vrindavan, which is known for Radhika's Kridasthali (playground of Shri Lord Krishna). Many religious feelings are attached with park as people believe Lord Krishna still come in this VAN in every night and do the Raslila. Some other famous holy shrines of town are Seva Kunj, Banke Bihari temple, Radhavallabh temple, Glass temple, Gopi Nath temple and many more. 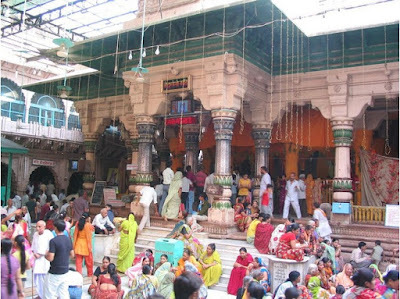 Mathura & Vrindavan are listed in top Indian tourist places of India, though it is holy place but still huge crowed is reaching town to take blessings of Lord Krishna. By Air. Rajiv Gandhi International airport of Delhi is connected to all big nations of the world and serving good amount of flights. 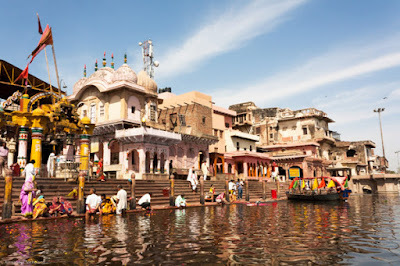 International travelers can reach Delhi according to their convienient to reach Mathura. By Train. Train services in India are world famous and train to Mathura is available from almost all bit cities of India. You will get trains easily for Mathura so no worries if you are traveling through train. By Road. NH from Delhi to Agra is available for those who want to reach Mathura by road. State transport and Delhi transport is available for Mathura and frequent bus services are available. Nice sharing for us it is very informative. I have visited many places of India and I felt only one thing India is so beautiful country and there are lots of Tourist places like Golden Triangle Tour, Shimla, Amazing Ladakh package, Rishikesh, Kerala, Kullu, Vaishno Devi and more interesting places available here which attract to us.